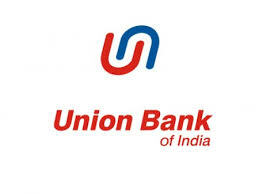 Union Bank of India has published a Advertisement for below mentioned Posts 2016. Other details like age limit, educational qualification, selection process, application fee and how to apply are given below. Educational Qualification: Candidates should possess Bachelors degree in any discipline with minimum 60% aggregate marks from a University/ Institution/ Board recognized by Govt. of India for Post 01, Passed in final examination of Chartered Accountant for Post 02, Master in Statistics from a University/ Institution for Post 03, Bachelor of Engineering/ Technology in Computer Science/ Information Technology/ Electronics/ Electronics & Telecommunications/ Electronics & communications/ Information Science & Engineering for for Post 04 with relevant experience. For more information refer the notification. Age Limit: Candidates age should be 23 to 32 years for post 01, 21 to 30 years for Post 02, 06, 25 to 40 years for Post 03, 23 to 35 years for Post 04, 05, 21 to 35 years for Post 07 as on 01-05-2016. Upper age limit is relaxable 05 years for SC/ ST, 03 years for OBC, 10 years for PWD candidates. Application Fee: Candidates should pay Rs. 600/- for Gen & OBC, Rs. 100/- for SC/ ST/ PWD candidates through online mode. Selection Process: Candidates will be selected based on online Examination and/ or Personal Interview. How to Apply: Eligible candidates may apply online through the website www.unionbankofindia.co.in from 25-05-2016 00:00 Hrs to 10-06-2016 24:00 Hrs.